Paul Boyer with his wife and daughters in October 2015. 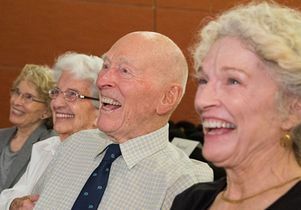 He was largely responsible for the Molecular Biology Building that opened in 1976 to serve some 30 faculty members from a wide variety of UCLA departments. 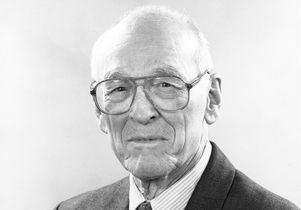 In 2000, the building was renamed in his honor. 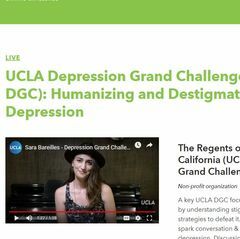 He also spearheaded the organization of UCLA’s interdepartmental doctoral program in molecular biology, which now includes about 100 students. UCLA is planning a memorial service. Details will be posted on the UCLA Chemistry and Biochemistry website. 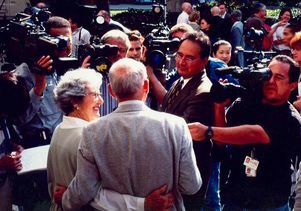 Paul Boyer and his wife, Lyda, talking to reporters the day he won the Nobel Prize.